Welcome to our friendly village table tennis club serving the local community for over 40 years. 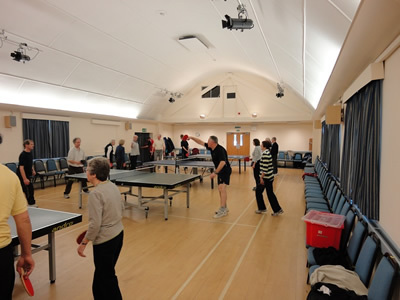 Whatever your age and ability Table Tennis at the Club provides both competitive and friendly play in a welcoming atmosphere with the opportunity to have fun, meet new people and stay healthy. The Club plays on modern equipment and the Village Hall provides an excellent environment with good lighting and ample heating. Parking is free and is immediately outside the hall, great on those wet and cold winter days. Wednesdays 10.30am to 12.30pm and Fridays 11.30 am to 1.30pm in the Main Hall. Wednesdays 7.30pm to 9.30pm in the Village Hall Annexe. Fridays 4.30pm to 6.00pm and 6.00 pm to 7.30 pm in the Main Hall. The Club currently has some 80 members including juniors and cadets, all registered with the English Table Tennis Association. 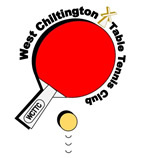 You can read more about the Club on our website, www.tabletennis365.com/westchiltington. For further information please contact Coral McLaren (Adults) on 01403 731341 or email her direct on westchilt.tabletennis@hotmail.co.uk or Kerry Li (juniors) on 01798 813818 (Mobile 07760 197338) or email her direct on kerryli@hotmail.com.